Nearly 100 US cities have formally adopted ambitious commitments to power their communities with 100% renewable energy by deadlines set in the 2030s or beyond. Among those communities, many large cities have made high-profile commitments and garnered significant media attention. Fewer small communities are well-known for setting these goals. Abita Springs, however, has claimed the title of the first community in Louisiana and among a select number of towns its size nationwide committed to a 100% renewable energy future. Located in St. Tammany Parish, the community is home to only a few thousand people. 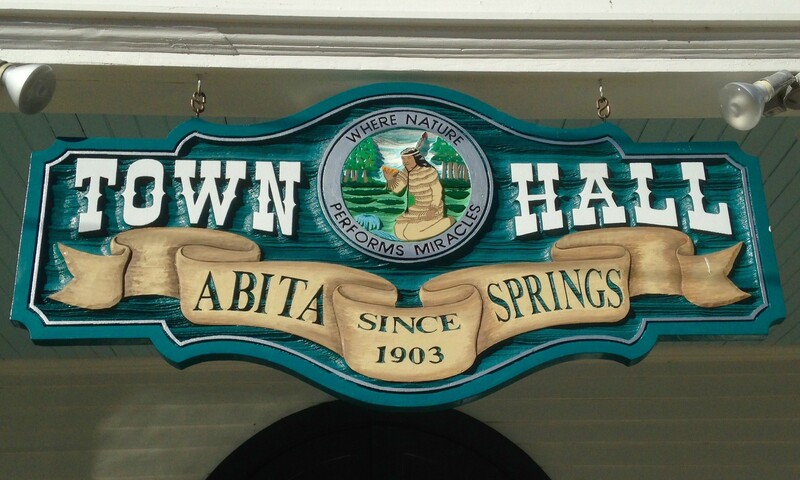 Following successful organizing efforts by the volunteer-led Abita Committee for Energy Sustainability (ACES) in collaboration with and supported by the Sierra Club’s Ready for 100 campaign team, Abita Springs’ mayor and town council unanimously adopted a resolution in 2017 to provide the city with electricity from renewable sources by 2030. In our sixth Voices of 100% episode as part of the Local Energy Rules podcast, LeAnn Magee, who serves as chair of ACES, speaks with co-director of ILSR and Energy Democracy initiative director John Farrell about Abita Springs’ motivations for and approach to reaching its 100% renewable energy goal, starting with municipal buildings and community solar. Both the quality of the city’s water and its quality of life are integral to Abita Springs’ cultural identity and history, Magee explains. Believed to have medicinal qualities, the city’s water and clean air created a tourism destination for those needing an escape from air and water pollution in larger cities nearby in the early part of the 20th century. 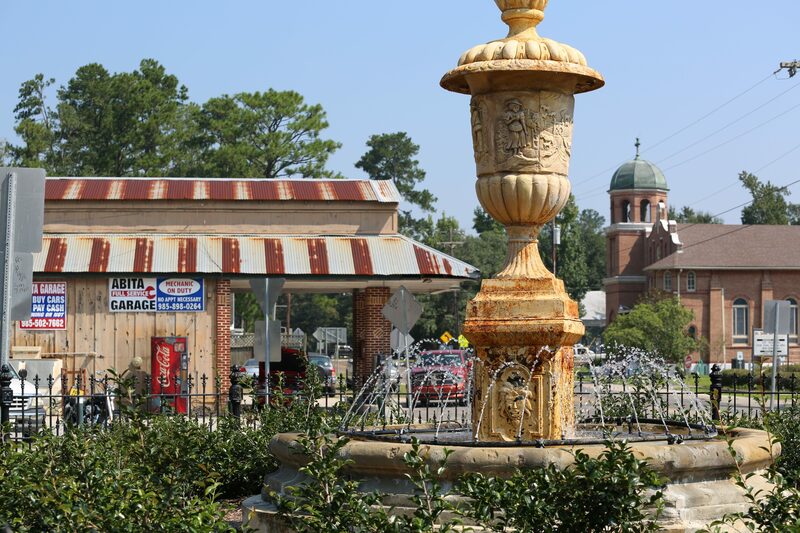 To this day, some may know Abita Springs for another creative use of its water — the town is home to The Abita Brewing Company, which distributes its award-winning beer and rootbeer using water drawn from nearby wells, nationwide. Magee explains, however, that due to Louisiana’s strong association with oil and gas development, the town’s natural resources have attracted more extractive industries, as well. In fact, Abita Springs’ renewable energy campaign began in direct response to a recent proposal of an oil and gas company to drill in the area. Ultimately, local leaders and community members — including many traditional, fiscally conservative residents — saw the value in this alternative pathway forward. 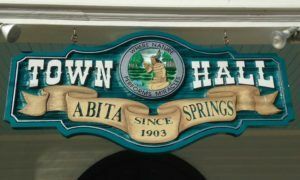 Abita Springs’ mayor and its town council unanimously passed its 100% renewable energy resolution in early 2017, an initiative that at least initially, only applies to municipal energy use. Magee notes, however, that the community hopes to broaden its efforts citywide. Balancing the interests of multiple electric utilities as Abita Springs embarked on its renewable energy commitment has not been easy, Magee explains. The larger community is served by two different incumbent electricity providers — one is the Washington-St. Tammany Rural Electric Cooperative and the other is Cleco Power, a large, shareholder-owned utility that recently acquired the city’s earlier provider, creating a large amount of uncertainty and delay in negotiations. Each of these utilities is a “very different animal” with unique challenges, notes Magee. Learn more about rural electric cooperatives by exploring ILSR’s resource page on the topic, which includes our 2016 report “Re-Member-ing the Electric Cooperative” and recent analysis “Rural Solar At Risk As Co-ops Push for Less Oversight.” We also recommend following the grassroots organizing of our partners at We Own It, a group working to shift the culture and accountability of electric co-ops toward renewable energy, nationwide. Notably, two existing dockets involving Cleco Power and Abita Springs are open at the state’s Public Utility Commission that could enable the town’s efforts to reach its renewable energy goal — one on the topic of community solar specifically. Despite the challenges of working with multiple utilities, Magee insists that Abita Springs is committed to balancing both of these interests, as the city moves ahead in its pursuit of renewable energy. How Does Abita Springs Plan to Reach its Goal? 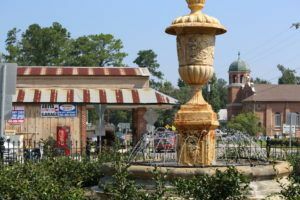 Fountain and businesses in Abita Springs, La. Since passing its resolution, a volunteer effort led by the Abita Committee for Energy Sustainability has helped the town move forward on prioritizing pathways to transition to renewable energy. Magee explains how the group’s approach has been an “all of the above” strategy, including looking into energy efficiency, electric vehicle charging stations, incentives for off-peak power usage, LED lighting, and then, most importantly, efforts for both rooftop solar on municipal buildings and a large community solar array. “We have condensed it down specifically to community solar being right for Abita,” Magee explains. Working on both municipal building rooftop and community solar projects have the benefit of being highly visible. They provide “local benefits” and “education opportunities” that will increase buy-in from those initially skeptical of the town’s commitment, Magee explains. For resources to learn more about community solar policies and projects, explore ILSR’s “Shared Renewable Energy” resource page. In addition to this public education, community solar is one model that can help the town address another important issue that is “close to my heart and close to the mission of Ready for 100,” Magee points out. That is, increasing access to renewable energy investments by the community’s diverse population. New low to middle income residents relocating to Abita Springs following Hurricane Katrina has meant the city needs to be creative about developing a master plan and its renewable energy strategy to keep electricity costs on utility bills low. Community solar is more accessible to shared housing, those that are low-income, and smaller housing developments, unlike residential rooftop solar, Magee adds. In terms of advice to other communities, and small towns in particular, Magee recommends those considering launching a 100% renewable energy campaign to work with the Sierra Club’s Ready for 100 team. She describes Sierra Club’s organizing efforts and technical assistance as “invaluable” to Abita Springs’ campaign. Magee also stresses the importance of knowing the context a given community is working in and doing some homework upfront. “Understand where your energy comes from, how it gets to your community, and how utilities feel about [renewable energy],” Magee explains. Knowing where “blocks to progress” exist helps lay the groundwork for success. Of course, it doesn’t hurt that the economics have shifted in favor clean energy as renewables become less expensive relative to traditional fossil fuels, she adds. Want to hear other stories of how communities are making and implementing 100% renewable energy commitments? Stay-tuned for the next episode in our Voices of 100% series in three weeks, which will feature the Midwestern city of Madison, Wis., and dig into their commitment to reach 100 percent renewable energy. For concrete examples of community solar programs and steps cities are taking to meet ambitious energy goals, explore ILSR’s Community Power Toolkit. Locate other cities and towns like Abita Springs, La. that have made 100% renewable energy commitments and explore local and state strategies to advance clean energy goals, using ILSR’s interactive Community Power Map.